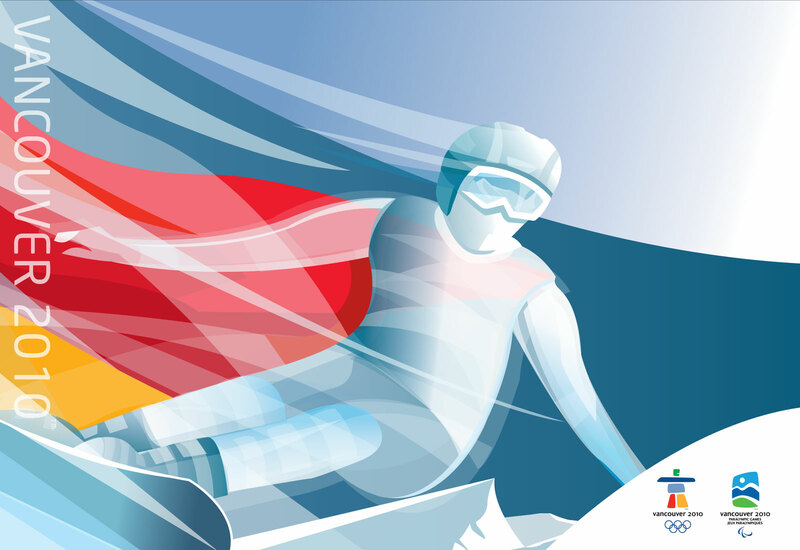 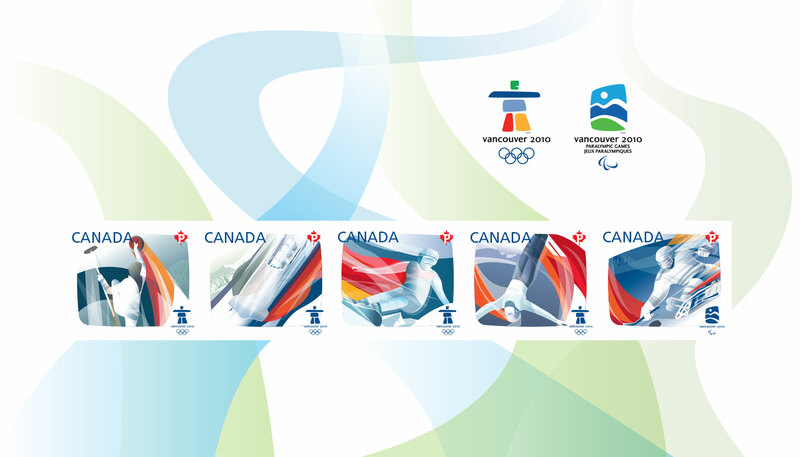 The stamps issued to mark the 2010 Winter Games feature athletes in action, with a strong emphasis on movement. 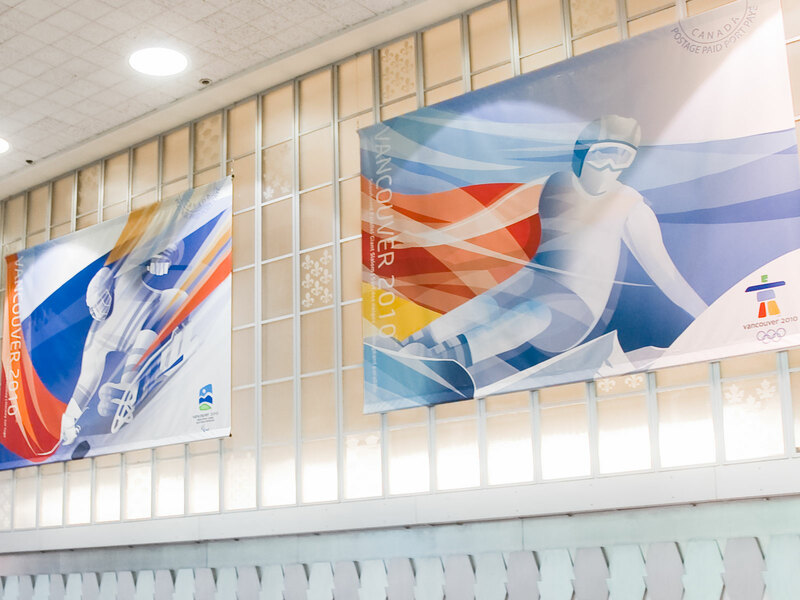 “We were inspired by Olympic imagery of the 1940s and 1950s, particularly the highly romanticized silk-screened posters of the era,” explains John Belisle, Creative Director of Signals Design Group in Vancouver. 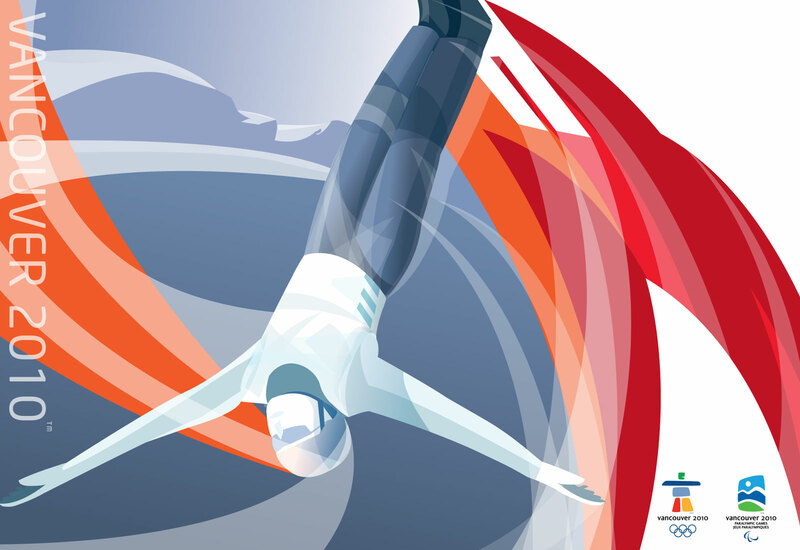 “We started with basic sketches of athletes in action and, to give the design a contemporary spin, we layered the images.” These layers of transparencies capture the movement of the athletes. 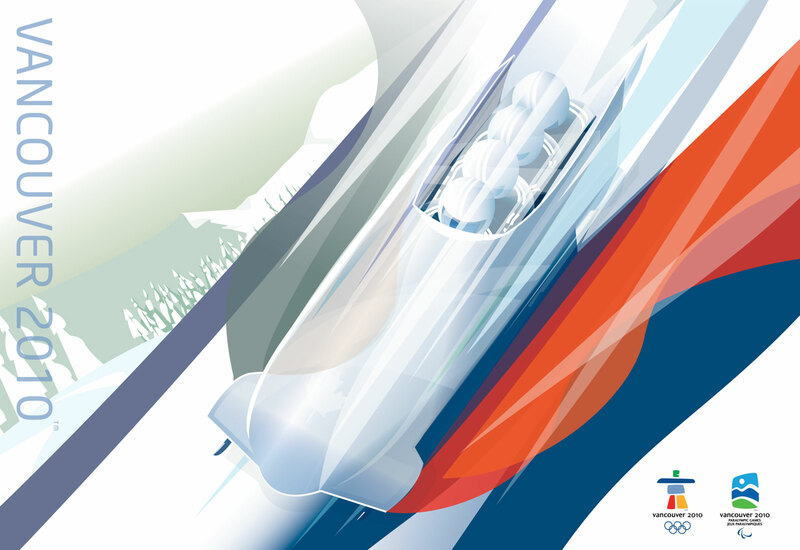 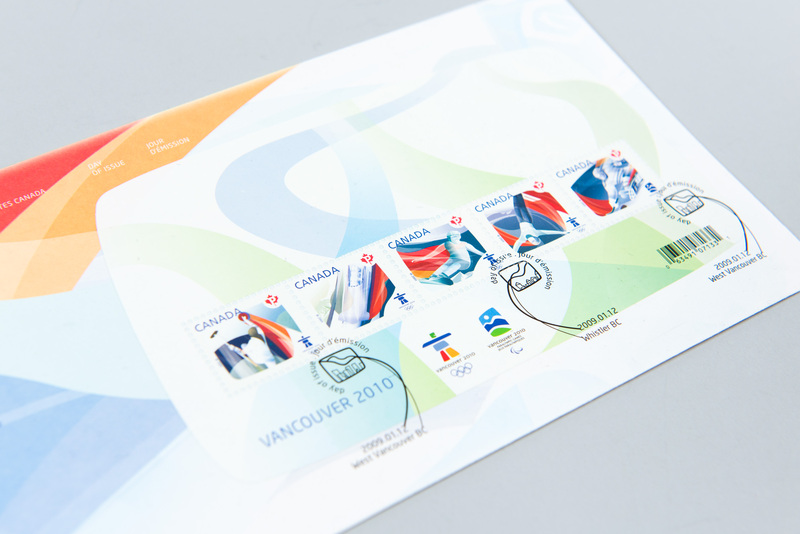 Belisle adds, “We’ve carried this sense of motion onto the souvenir sheet, where we’ve created movement by winding the pattern of the Vancouver 2010 colour scheme.” Blues and whites worked into the stamp designs convey the feeling of snow and ice.